Three-year-old Reagan Sneed skips about the family farm, kicking up dust with ease in the unusually dry mid-September afternoon air. Happy and carefree, she sings as she skips, trying to entice Amber, the weeks-old bottle calf, to follow her lead. Reagan grabs the calf by the neck and kisses her. “Amber is my friend,” Reagan says. “I help feed a bottle. And I sing to her. The bond between a girl and her calf has formed. And so it begins with Reagan. Another generation. The fifth generation, actually, of Gregory Polled Herefords. E.H. Gregory started the family business in 1932 in Green Ridge and later moved to the Houstonia area. His son, J.D., carried on the tradition and passed it on to his son, Kevin, who continues the family business today. 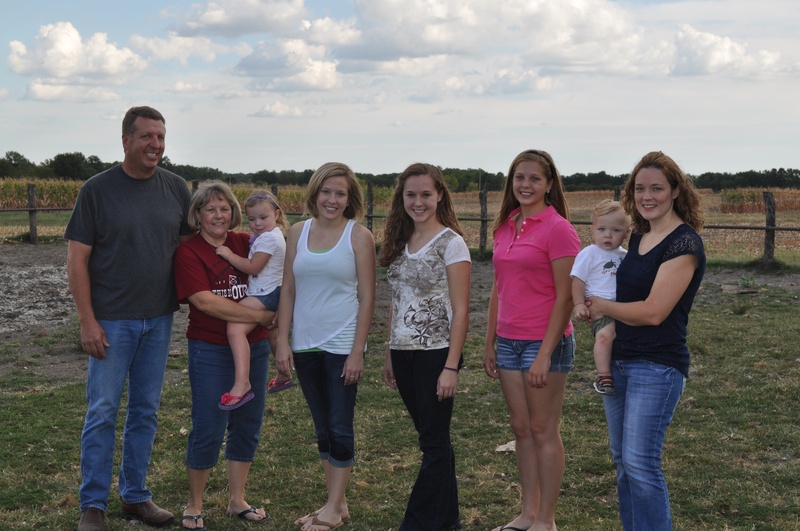 Kevin and his wife, Barb, have four daughters – Jennifer, 33, Devann, 21, Morgann, 19, and Jordann, 18. Jennifer and her husband, Brian Sneed, are the parents to Reagan and her one-year-old brother, Rhett. All live within a mile of the family farm. 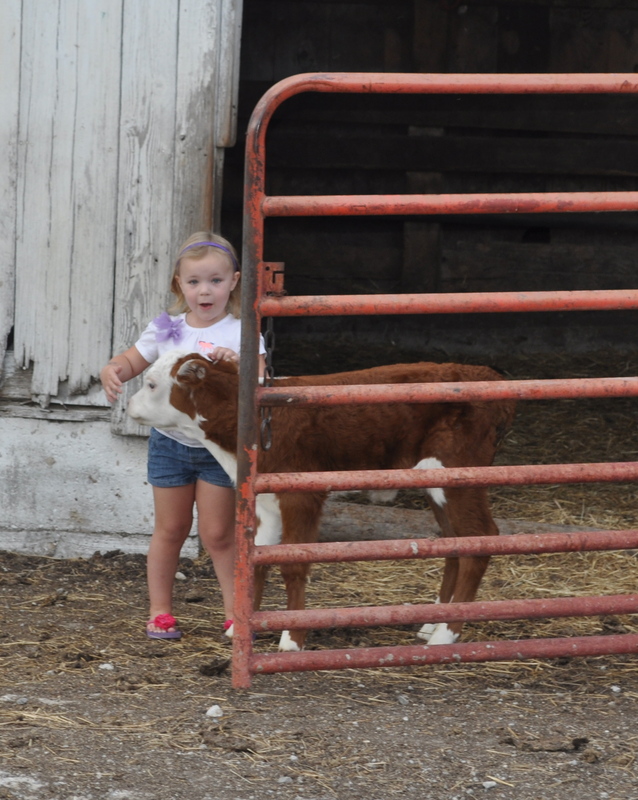 And all of the girls began showing cattle at the same age as Reagan is now. It’s their legacy, Barb says. 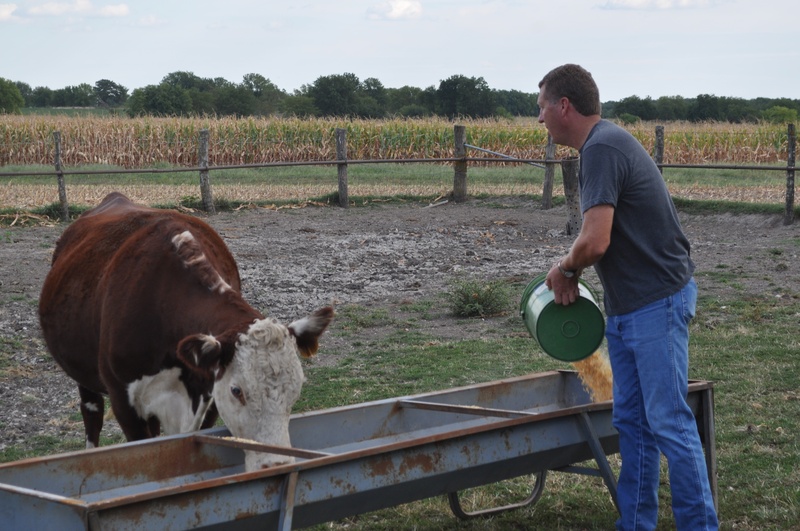 Showing cattle takes dedication and responsibility. The process begins in December when they choose their animals and begin breaking them. It continues through the end of the summer with local shows, the Missouri State Fair and the Junior National Show. Kids can begin showing at age three with bottle calves for local shows and the junior nationals are for youth ages 8-22. It means no days off. No snow days. Early mornings and late nights. Taking care of the cattle on those unbearably hot summer days in the humidity Missouri is known for as well as the bitter cold, snow and ice that wintertime can bring. “It’s just a lot of hands on,” Kevin said. They walk, wash and work them every day, spending an hour or even two or three with them, depending on the time of year. “The more you get your hands on the animal, the better they will act,” Devann said. After months of preparation and hours of work, taking their cattle to the shows can lead to mixed feelings. Some of the cattle they are excited to sell and some they have become very attached to and are hard to see go. “They are like your children and it’s very hard to get rid of them,” Jordann said. As the years pass, the Gregory name has become synonymous with success. And at cattle shows, that means bringing home the Grand Champion purple banner. While the successes have been many, there are a few that were especially significant to each of them. 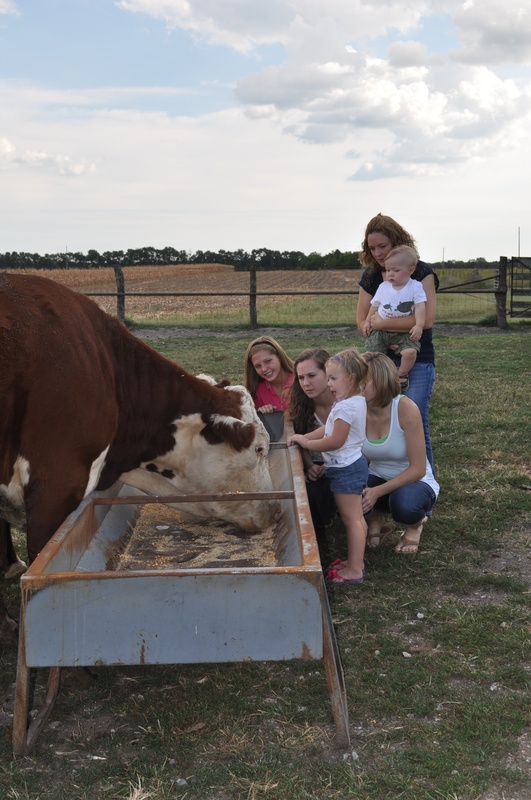 In 2006, Jordann won Grand Champion Hereford Steer at the State Fair, her first year showing steers there. Last year, Devann pulled a little heifer out of the pasture a couple of weeks before a show, not expecting her to do well. But she was named Champion Division Winner in both the FFA and the open show. This summer, Morgann won Grand Champion Bred and Owned Heifer at the Pettis County Livestock Show. Sometimes, though, it’s not the cattle being shown, but the cattle they’ve sold. In 1999 while attending the National Western Stock Show in Denver, they came across a calf that Kevin had sold who had won Reserve Division Champion. But it’s not just about the champions or the results. It’s also about the process, traveling together, meeting people and having fun together. They form friendships that last over the years. And when they are at a show, Kevin will invariably run into someone he knew growing up. “We’ve been in long enough that kids I showed with 25-30 years ago, now their kids are showing,” he said. Barb grew up in Kansas City and married into this but she seems to be the glue that holds it all together. The girls said she helps wash the animals, helps walk them and she makes sure they get where they need to be with everything they need – and on time. When it comes down to it, it’s really all about family. “It’s something you can do with your whole family,”Barb said. From J.D. at 80 years of age down to Reagan at three years, they are all involved and love it. Kevin said his father still goes to all of the shows. “Wherever the kids are, he’s there ready to help,” he said. “With Reagan and the bottle calf, he makes sure he’s got her bottle ready to go and he goes out there with her. It’s neat to see him with her.”And it would seem the Gregory legacy will continue for years to come.